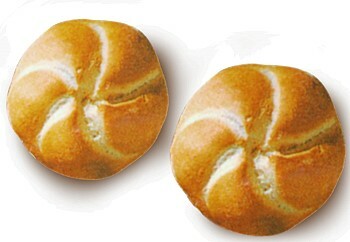 Developed to create that traditional Kaiser Roll spiral markings. 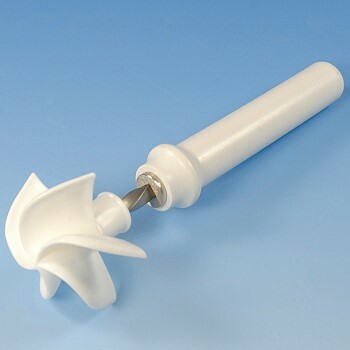 Tool has a pinwheel cutting head, which twists when being pushed down onto the roll. Dimensions: length 7 1/2", width 2 1/2", head height 1 1/8"
Made of white plastic, with metal shaft.